Product prices and availability are accurate as of 2019-04-19 05:51:16 UTC and are subject to change. Any price and availability information displayed on http://www.amazon.com/ at the time of purchase will apply to the purchase of this product. 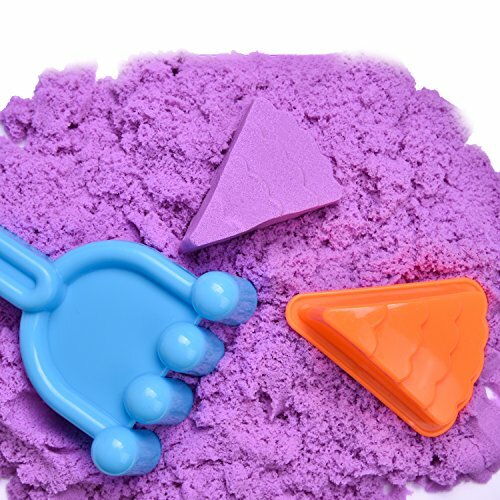 INCLUDES: 3 individually packed colorful magic sand/space sand, multiple colorful tools including shovels, press, roller, molds and a large sturdy plastic play tray to play the sand in. All items are nicely packaged in a sturdy plastic case. BIG FUN: This 28-piece magic sand set comes with everything you need to have fun anywhere. 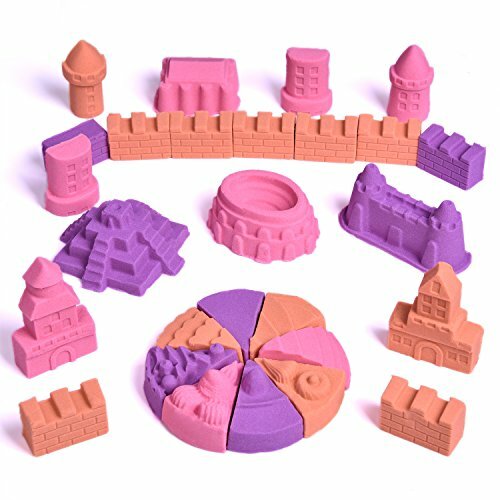 The tools will help your kids to create various shapes and models, in both 2-D and 3-D. 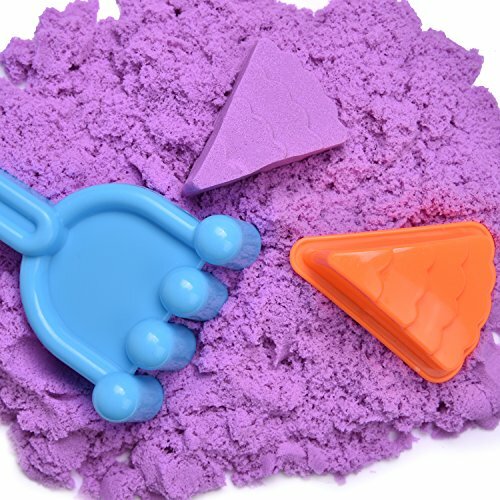 Moreover, the sand is soft, moldable, and won't stick to hands or any other surfaces. This sand is non-toxic and eco-friendly. EDUCATIONAL: This set can help stimulate children's imagination. Kids can enhance their manipulative ability by using this toy tool sets. Good for family time teaching your child about tools and their functions. Great toy for both indoor and outdoor activities. 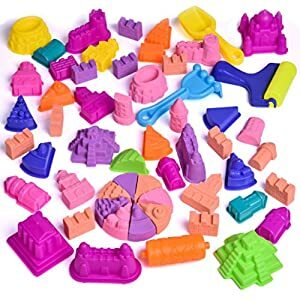 IDEAL GIFT: This Cool Sand tool set is the ideal gift for children any age and gender as the colorful magic sand and tools will inspire children to use their imagination. Playing with this toy kit can help develop fine motor skills, and promotes coordination skills of their hands. This is also the perfect toy for pretend play and role play games. 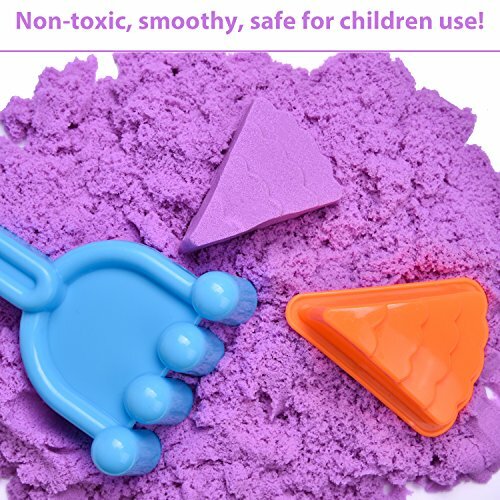 High Quality：The Magic sand is no-toxic, and safe for children. The plastic tools are durable and safe.